Outstanding job once again - everything looked delicious - presentation flawless. Thank you and Merry XMAS!!!!! Thank you for all of your help last year and for the delivery for my New Year’s Eve dinner – it was delicious. "The boys loved it... as did I. Good meals make them feel that somebody cares and they give it back with their labor... It's always good stuff coming from Delicacies :) "
I want to thank you and your staff for a wonderful breakfast event last Friday. Your staff made the event run seamlessly and your food, as always, was delicious. Please thank everyone on your team. Thank you so much for pulling this together for me last minute." "I wanted to reach out to say THANK YOU! What we ordered was perfect and looked great as well. Makes me want to entertain more often!" "The food was wonderful and my guests enjoyed the variety. Also appreciated the on time delivery. You treated me with good customer service, a lost skill in many companies today. You were patient with me in providing me with all the information I needed to choose what I wanted for the event, and accommodated me by providing what I specifically requested for this very important Appreciation Luncheon for my school. I stopped by the school at the end of the day, and as soon as I walked into the office, the secretary was raving about the luncheon. She did not realize it was the same company that serves our Staff BBQ. My detailed request would have meant nothing if you did not execute it with precision. having separate trays and sides for the lunch periods and the different staff groups not only made it easier to serve, but more importantly, presenting it that way gave those staff members such a feeling of appreciation. Had you not executed perfectly what I wanted, it would not have been as successful. So, thank you for partnering with me to fulfill my wishes and make this a great presentation. The wraps and the sides were delicious. The seasoning in the pasta and potato salad were tasteful. The amount of sides appropriately served the number per person order for, as it should be. The staff was so impressed with how we presented and how delicious your food was. This is my last year in the school, and the Parent Coordinator already has me on detail to order for next year. I'm thinking maybe paninis and club sandwiches. I will be passing this info to the next team. Thank you to Rocco for giving us the price of $10.00pp. Had he not, I would not have been able to order for an additional 24 people. We fed literally every person in the building including our crossing guards outside. Just a note of suggestion... The staff enjoyed the food. You could take this opportunity to provide 150 menus to give out at the Staff BBQ in June. "Can't thank you enough for all your help with the Boy Scout event. Everything went so smoothly, and you are such a pleasure to work with!! The servers worked really hard and were so friendly. Thank you again!!" "We had a great night!! Food was delish and just enough. Thank you so much!!" "Wow! The food was a big hit with my family. Delicious AND Plentiful. They're still talking about it! They took plenty home, and I won't be cooking for days. Your driver was both courteous and professional (don't forget to tip him!) It made our gathering a success! 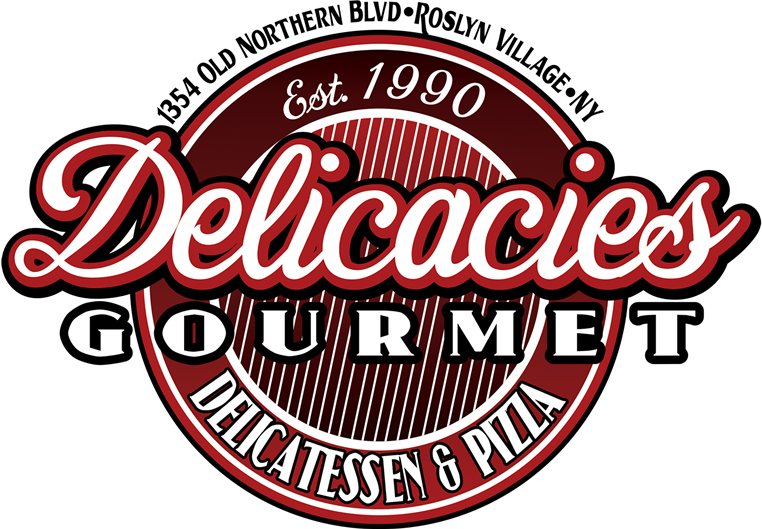 My sincere thanks..."
"My staff loves your Italian dishes better than any pizza place! Me too!" Thanks to your staff for keeping me nourished. I really do appreciate it. It takes a lot of teamwork and coordination. On behalf of FICX Fitness, we want to extend our sincerest gratitude for your generous contribution to our charity event. Your very generous donation had a significant impact on helping the Manhasset Coalition Against Breast Cancer. MWCABC's mission is to fund innovative research, increase awareness through education and provide support services to those with breast cancer and related diseases. MWCABC's focuses on helping members of the Manhasset and nearby communities who are coping with breast cancer; whether newly diagnosed, being tested, undergoing treatment, or experiencing a recurrence. We already have expectations to collaborate on similar events in the future. On behalf of the organization and FICX Fitness, we want to thank you for helping us make a positive change. Your generous support encourages our organization's continued commitment to reaching our goals. If we can help in any way in the future, please contact us at any time and we would be more than glad to participate. Thank you so much again for your kindness and generosity. I just wanted to say everything was perfect yesterday. I even gave the delivery driver a small thanks. Everyone raved about the food, especially the teachers. Look forward to ordering for our staff appreciation on May 7, 2019! Please let me know if you didn’t receive payment. As I mentioned, I have communication issues with our business office. You did it again... amazing... love love love the bowtie pasta salad... delicious!!! Everything worked out perfectly on Friday. The food was great and it arrived on time, the server Caryn was wonderful and we had great weather! The platters looked beautiful and everything was delicious. You got a lot of compliments. Thanks for catering. You did a great job! Luncheon last week held at the Bryant Library. You were SO helpful, kind, and generous with your time. I really appreciated all you did and what you provided. The food was fresh and delicious! I'm sure more people will be eating at your restaurant. I look forward to working with you next year. Again, I thank you for your kindness and a job well done! But seriously speaking, you saved the day, and I owe you a big favor!! If there is anyting we here at AMC could ever do for you guys, please don't hesitate! And of course, we will continue to order your delicous breakfast wraps and lunches, especially the LEMON PEPPER SALMON! Again, on behalf of our entire Church community, our sincerest gratitude for everything!! We cannot thank you enough for a wonderfully successful and delicious event today!!!!! The staff, teachers, and administrators of Heights elementary were overwhelmed with the beautiful selection! So many inquired where the food was from because it was so delicious! We urged them to visit you in the near future not only for the delicious food but also because as a local business you are always giving back to our community and we couldn’t be more grateful for that. A huge thank you for your help coordinating with us to make our educators feel appreciated today. I dropped off the racks and water pans earlier thank you for sending them. Wishing you all a very happy holiday season and please send our wishes to the staff who all worked so hard to prepare for us today. P.s the eggplant parm was a HUGE hit everyone LOVED it!!! !